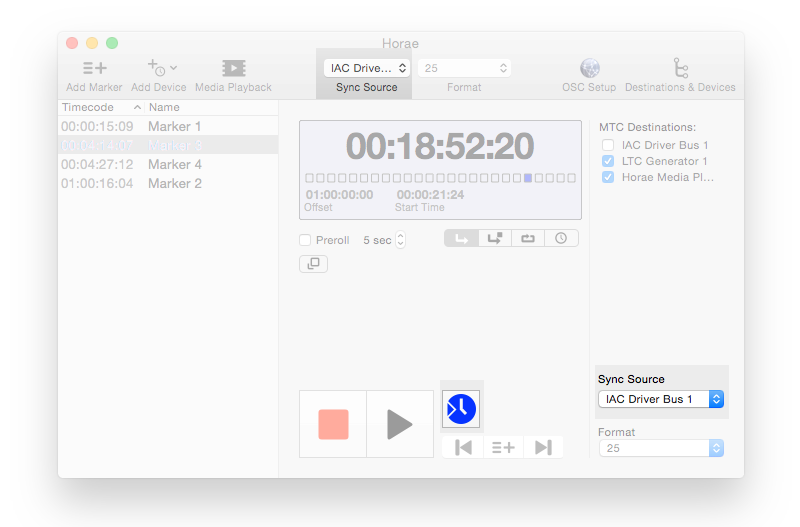 Horae is a Show Control Tool for Mac OS X that can act as a SMPTE LTC Timecode Generator as well as a LTC Synchronizer device. Horaes Clock can be triggered manually or be slaved to external MTC and will be the timecode master in your show or application. The clock can transmit MTC to any MIDI destination in your system. 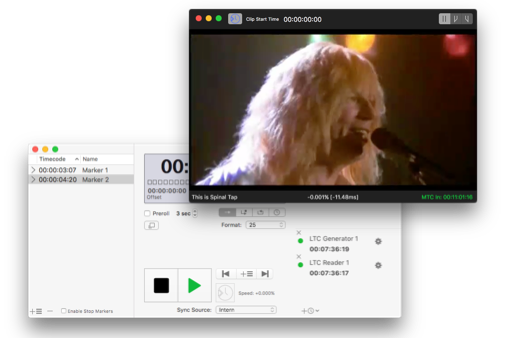 The Media Playback Feature allows to sync any kind of Av-Media to MIDI Timecode, either incoming from an other app, or generated by Horaes Master Clock. Media Playback requires a Mac running OS X 10.9 or above. 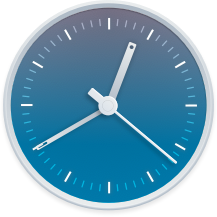 The clock can act as a slave for every other MTC source in your system - just select the sync source and click the Arm button - you will be ready. Create an unlimited number of LTC Reader or Generator devices and translate time into other domains or distribute to other machines. Demo Try a demo version before you buy. Horae requires Mac OS X 10.10 and is ready to run with 10.11. An older version, compatible with OS X 10.8 and above is availble here To use the Media Playback Feature OS X 10.9 or later is required. A LTC Reader device will listen to SMPTE LTC from a selected audio-device and input-channel and convert it into MIDI Timecode (MTC). The timecode being read is available in to other MIDI Applications as MTC from a virtual MIDI Source. A LTC Generator requires MTC as input and creates an audio stream of SMPTE LTC. This audio signal can be fed into any other device in your setup that takes LTC as timecode input. Similar to a reader, a generator will create a virtual MIDI destination - which will work independent from Horaes Main Clock if deserved. Horae can export LTC- Audiofiles in various formats, sample-rates and adjustable playback speed. Simply use the File > Export LTC-Audiofile... command in the main menu. On the right of the main window, you find Destinations and Devices section to see the Timecode-Routing possibilities in Horae. In the upper part of the section you will see all MIDI destinations in your system. Check them, to have Horae's clock send MIDI Timecode to them. In the lower part of the section you will find all devices created by Horae. Click the gear button to adjust its settings, you can also tear of the pop-up into to s separate window. Horae supports Open Sound Control, a network protocol to control musical devices & software. 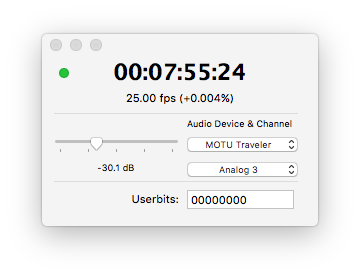 This means you can fully control Horae over a network and view timecode. Layouts for Touch OSC are available for download too.